Montreal DJ ends epic 15-month-long bike tour in Tuktoyaktuk, N.W.T. Jean-Aimé Bigirimana set out to break the world record for 'the longest journey by bicycle in a single country.' He ended his trip in Tuktoyaktuk, N.W.T., last week. A Montreal DJ who set out on a year-long, cross-country bike tour says the Canadian North had the most "spectacular," "magical," and "beautiful" views in the whole country. Three coasts, 15 months, 10 provinces, two territories, and nearly 18,000 kilometres later, Jean-Aimé Bigirimana, a.k.a. DJ JaBig, finally finished his epic bike trip in hopes of breaking the Guinness World Record for "the longest journey by bicycle in a single country." The current record is held by Prasad Erande in India, who travelled 14,576 kilometres. 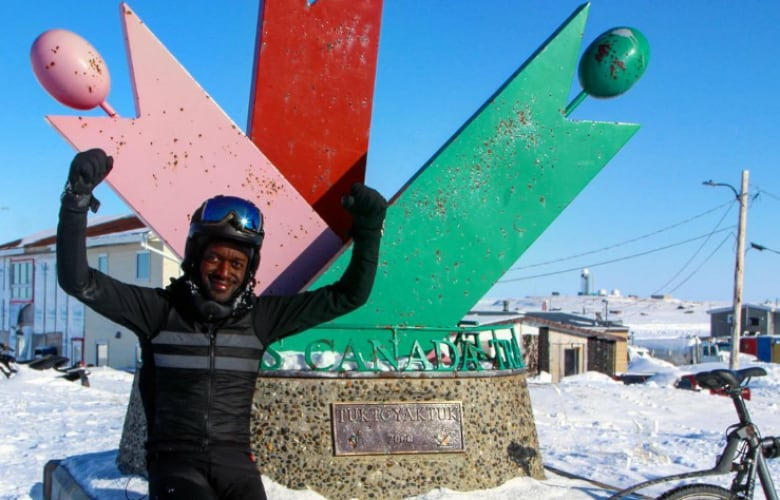 Bigirimana had spent nearly 1,000 hours on a bicycle as he rolled into Tuktoyaktuk, N.W.T., last week. 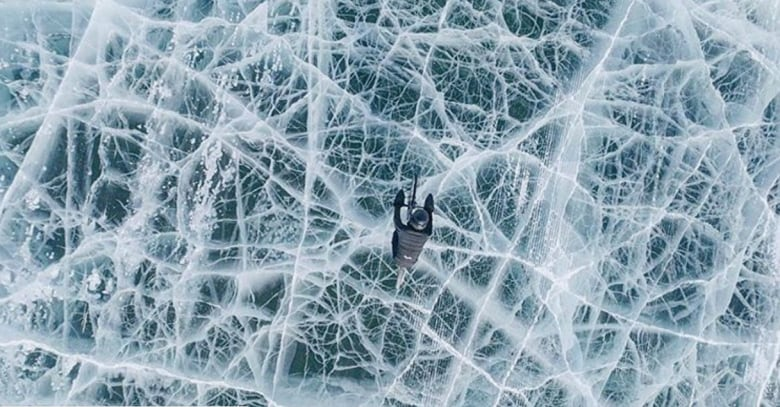 "I couldn't believe I was on top of the world, almost literally." In January of last year, he set out from Montreal towards the east coast, then biked to B.C., where he headed North through Yukon to the N.W.T. Bigirimana said the view at the Yukon-N.W.T. border was "spectacular." But it took quite an effort to see it on a single-speed, fixed-gear bike. "When you go to the border, there's a big hill," said Bigirimana, who noted it was the "most demanding" part of his bike tour throughout Canada. "It was the roughest road... But I will say without any hesitation that it was the most beautiful ride." He described the scene as "magical," thanks to the blinding white overlay of the snow. 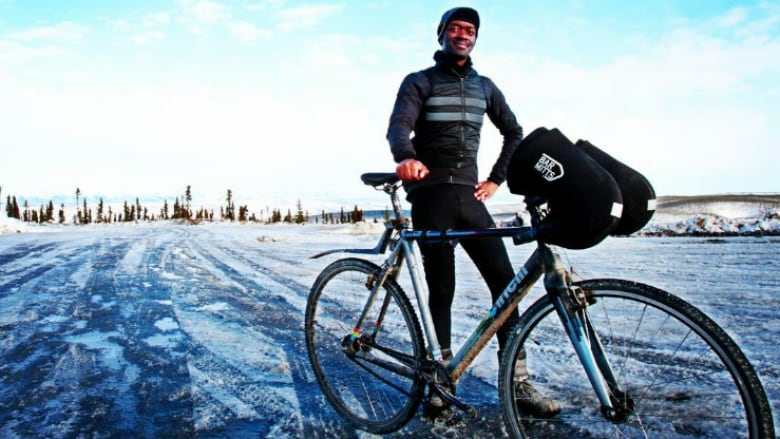 Bigirimana says he thought he could bike the Inuvik to Tuktoyaktuk ice road, the last stretch of his tour, within a day. "It's just 185 kilometres," he told himself. But things didn't go according to plan. "The wind was blowing, I couldn't understand why everything was so slippery," said Bigirimana. 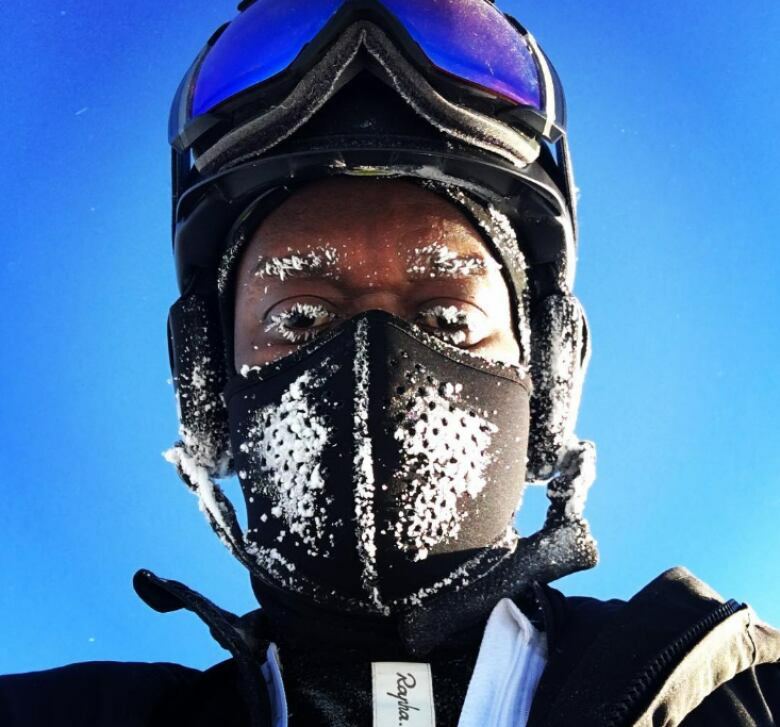 "I fell both times on my knees hard; I fell on my head, I cracked my helmet, I fell on my face; and on the sixth time, I don't even remember what happened." That's when he opened his eyes to see two strangers looking down at him, asking if he was OK.
"I asked them, 'What do you mean?' They said, 'You fell really hard,'" said Bigirimana, who then told himself that he had enough and was ending his trip. He got a ride back to Inuvik, but while he was in bed that night, he had a change of heart. "I don't think I'm going to be able to live with the fact that I stopped 50 kilometres away from my goal," he recalls telling himself. 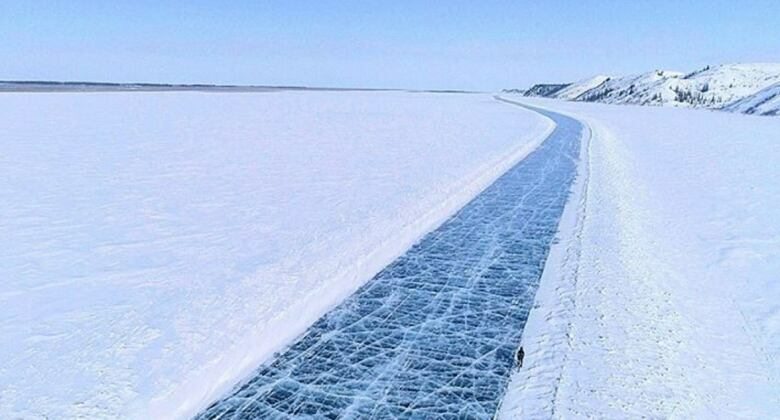 He waited until the bad weather passed, and "sprinted to the end" to Tuktoyaktuk. Bigirimana says finishing the tour is one of the "weirdest feelings" of his life. "I was jubilant and heartbroken at the same time." He's struggling with the feeling of not knowing what to do now that it's all over. "It's like learning how to literally walk [again]," he said. The one thing Bigirimana takes away from his journey is the generosity of Canadians. "I remember Prince Edward Island being beautiful, but I don't remember really how beautiful it was. But I remember the family I stayed with who hosted me and the good moments we had. And that's something I'll never forget." Bigirimana says he'll make a cross-country trip (by car) every two years to visit all the close friends he's made along the way. "It turns out, I wanted to see Canada, and I ended up seeing Canadians." Bigirimana returns to Montreal next week when he plans on submitting his evidence to the Guinness Book of World Records.